Figure art #135Y pen & ink watercolors and prints • Condren Galleries Ltd. 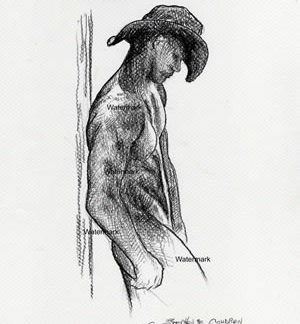 Figure art #135Y are stylus sketched paintings of the human body with JPEG & PDF scans and prints by artist Stephen F. Condren, BFA-SAIC, at Condren Galleries, a Fine Arts Gallery, which gives you low cost discount prices on all artwork, and is on sale now. Because figure art is great, it’s prints are great! Lines are the best way to express the human body in art. Because lines give the contour of the human form on paper. Delineation of human figures show clearly the body parts. The human figure is the most beautiful creation that God has ever made.